You know the saying – Friends are the family that you choose! Friends come and go and are there for many seasons of our lives! Some friends stay for years and never leave and then others are there for a short time! No matter what the case – friends are gifts that we should treasure and be thankful for! When you are up in life, friends get to know who you are. When you are down in life, you get to know who your friends are. There will be many people who will be great to be around when times are great. Take note of the people who remain in your life when times are hard. The friends that are willing to sacrifice their time and resources in their life to help you improve yours! Those are the ones you can call “friend”. 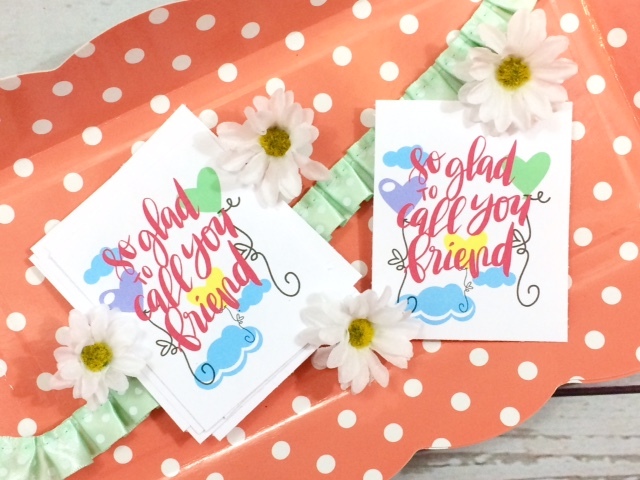 I’ve created this little printable for you so that you can share with your friends what they mean to you! Maybe it’s your turn to lift a friend up when they are down! Attach this little tag to a candy bar, or a bunch of flowers! Anything little or small that let’s them know, you are thinking of them! Because they are important! And because they matter! Maybe you need to thank them for being there for you when times got rough! Thanking them for just being a sounding board when they didn’t know what else to do. Thanking them for meeting you in the middle of the night when you couldn’t see through the tears to drive to them. Thanking them for being a second mother to your children! Friends need to be reminded that they are important and a treasured gift! Here’s to you being my friend through this journey of life! Thank YOU for being a support and an encourager to me! I appreciate you! Now go out and share your greatness with a friend of yours! 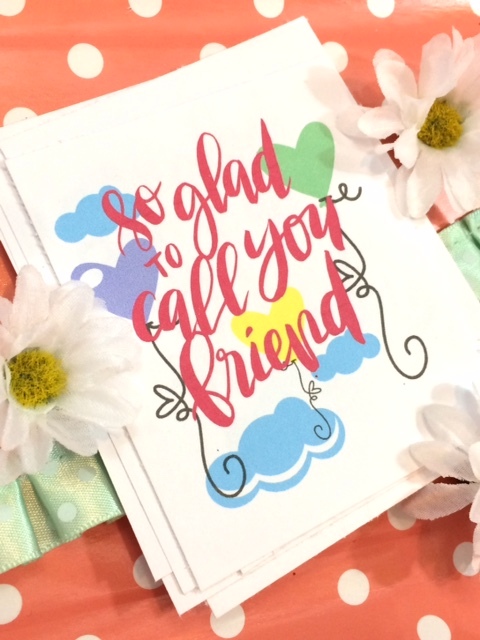 Heres a printable for you to share with those friends that you call “family”. 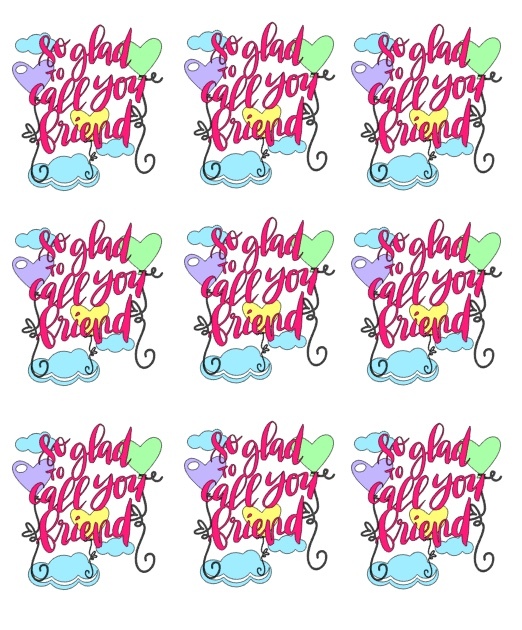 Simply right click on the image and print it out – it’ll print 9 tags for ya! Its always nice to remind our friends we love them too! This design is beautiful!